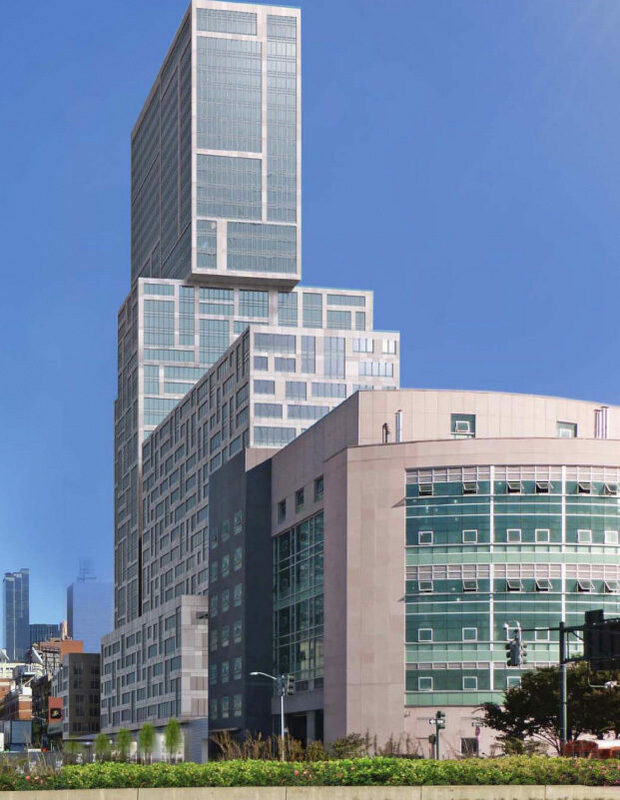 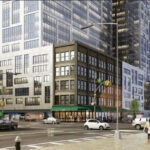 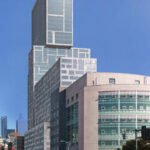 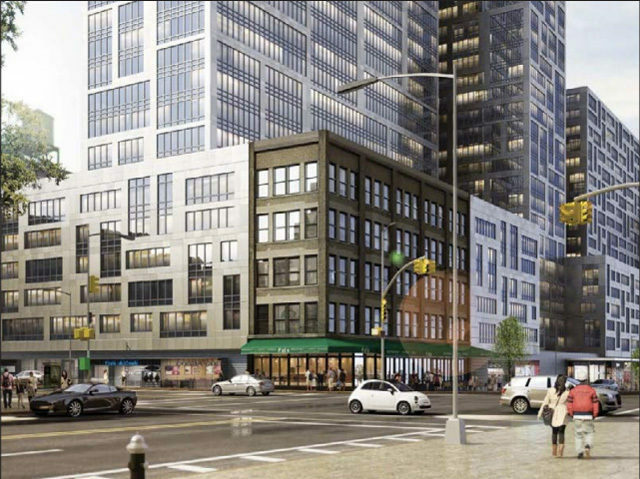 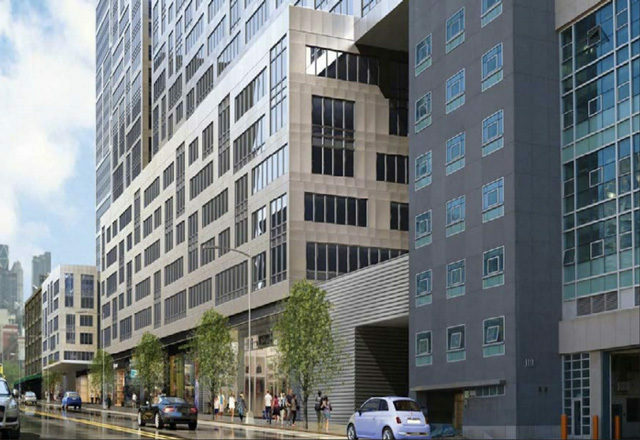 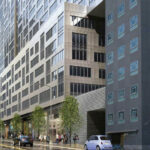 The last visual we had of TF Cornerstone’s huge development coming to 606 West 57th Street was a small little thing buried in a Wall Street Journal article. 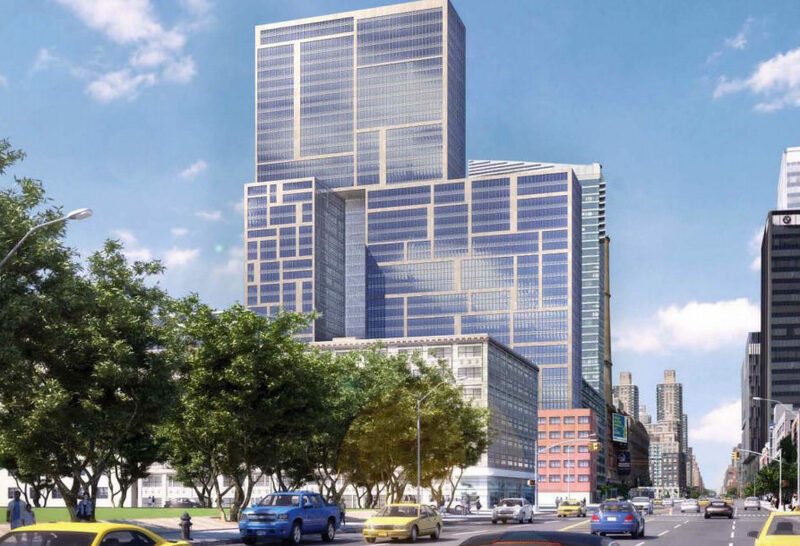 But now New York YIMBY unearthed the project’s Environmental Impact Statement, which has many more looks at the massive property, which will have1,189 units and be the city’s largest residential building. 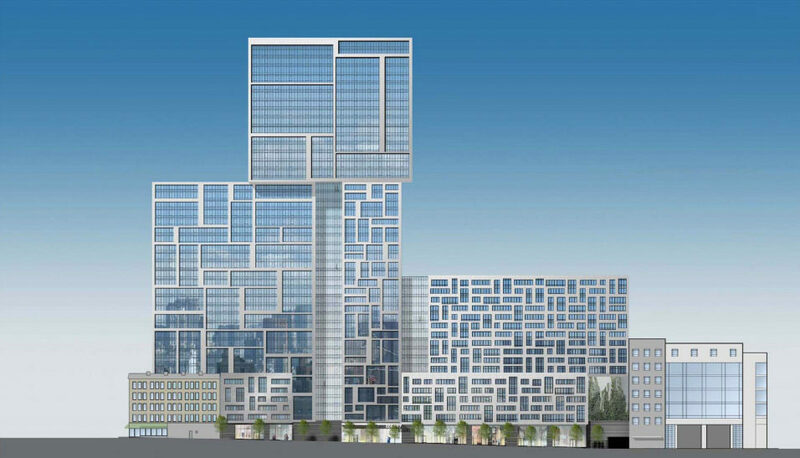 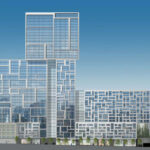 Designed by Arquitectonica Architects, the Tetris-like building, as NY YIMBY says, proves “the cantilever craze is now at full throttle.” In addition to the apartments, twenty percent of which will be affordable (thanks to semi-controversial tax abatements), there will be 42,000-square-feet of ground floor retail space, plus a 500-car garage. 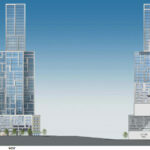 The EIS lays out two plans for the site, the first of which is outlined above. 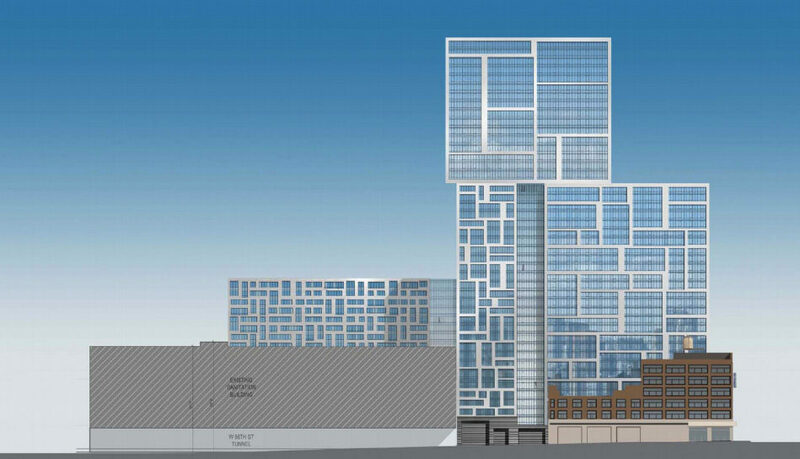 Plan B calls for less residences (848 units) with a 285-room hotel, more than 60,000 additional square feet of retail, and medical offices. 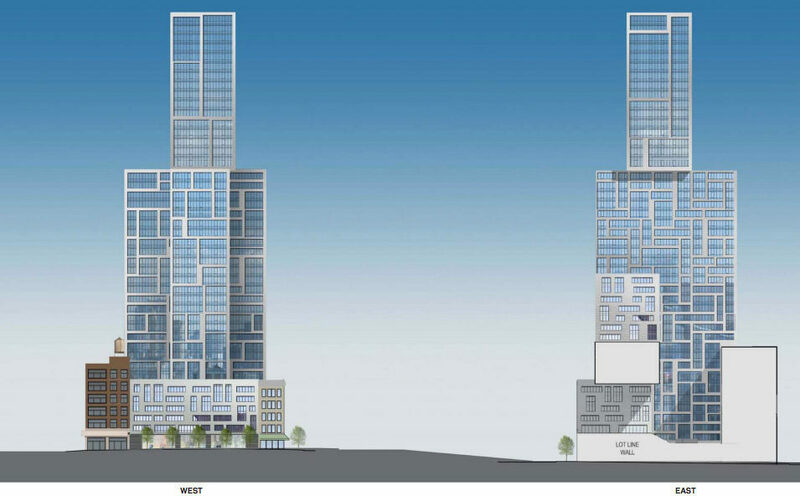 The site, located across the street from BIG’s pyramid of fun, is currently occupied by low-rise buildings that will be demolished. 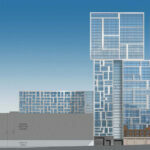 But before any work starts, the project must go through the lengthy public review process known as ULURP.